"Infrared grills heat the meat, not the air." For many people, the idea of infrared is somewhat of a mystery. Infrared Grills maximize flavor, energy, and convenience by utilizing an infrared cooking system as opposed to a convection cooking system found on traditional gas grills. All food is surrounded by a moisture boundary, which is a layer of air and water molecules. 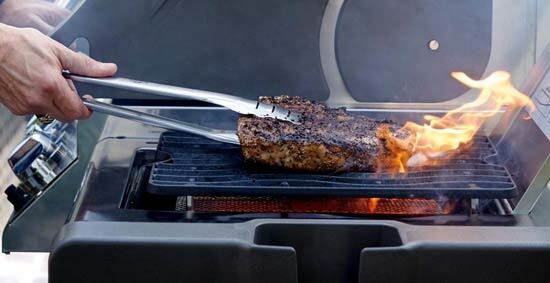 The hot air generated by other gas grills can’t penetrate this boundary without disturbing it, so food is exposed to the drying elements of hot air as it cooks. Infrared energy doesn’t disturb the moisture boundary, so food retains up to 35% more of its own natural juices, remaining tender and juicy. In short, infrared grills heat the meat, not the air. One example of infrared heat is the warmth you feel on your skin as you stand outside under the bright sun. An infrared grill can preheat on high in as little as 3-5 minutes, allowing you to start grilling in no time! 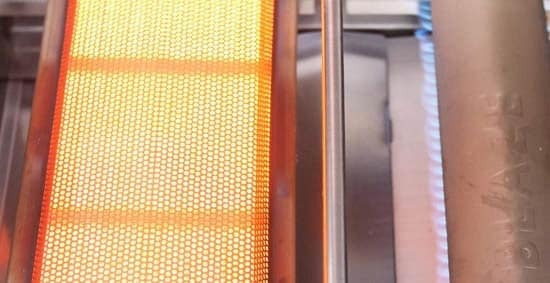 Infrared grills provide even heat across the grilling surface, reducing hot and cold spots often found on other grills. Sometimes we don't have time to grill after a long day at work. A faster cook time allows you to grill more often. Infrared grilling means your food will retain up to 35% more of its natural juices, producing tender and juicy results. 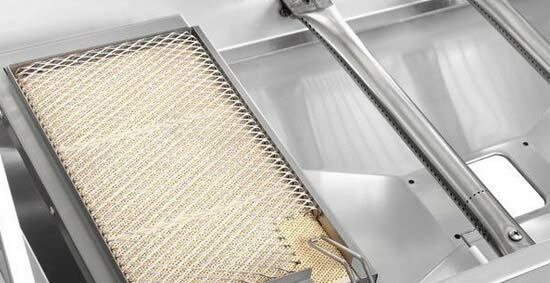 Infrared grills reach incredibly high searing temperatures that produce mouthwatering, restaurant quality steaks. 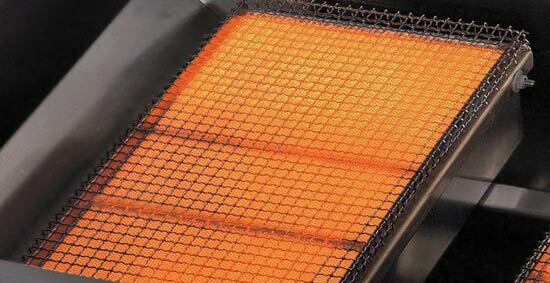 Infrared grills drastically reduce or even eliminate flare ups from grease and food particles catching fire. Compared to traditional gas grills, infrared grills burn less gas to reach the same temperature, saving you money. 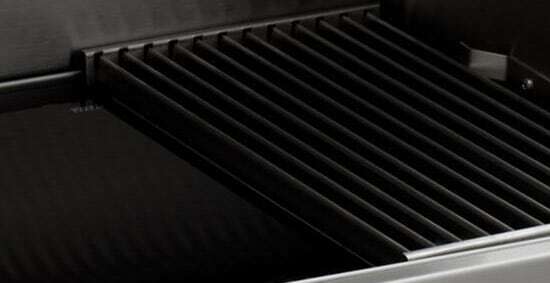 After cooking, setting an infrared grill to high will turn any food particles left behind into ash for easy cleaning. There are several infrared brands out there, but they don't all utilize the same infrared cooking system. This is important to understand to ensure you are getting the perfect infrared grill to fit your cooking needs. Furthermore, it's important to consider the quality of the infrared grill you are buying. Some infrared grills are built with more economical, lower quality components, which might cause you to have to constantly replace parts, or the whole grill, much quicker than you might think. We've had several customers share their stories with us about this very fact. Contrast that with the commercial quality construction of the higher end brands, where you may pay more up front but enjoy better performance and longevity in the long run. Ceramic infrared burner systems feature a stainless steel burner topped with a ceramic surface, with the cooking grid sitting a few inches above the burner surface. This ceramic surface produces many tiny flames that get extremely hot, quickly and and evenly. On the cooking surface, you can expect a temperature range of roughly 600-1000 degrees. The direct flame access of the food drippings to these burners may cause some quick flare ups, which some folks prefer for the flame-kiss charring. This burner system is found on brands like Solaire, and is great for searing meats hot and fast, but will not reach lower temperatures. However, Lynx grills offer a patented Trident ceramic infrared burner which is capable of reaching a low temperature of 300 degrees, while also offering an intense high heat of up to 1,000 degrees. TEC, the founder of infrared grills, reinvented the infrared burner system again when they introduced their radiant glass panel infrared system. This system features the cooking grid sitting directly atop a radiant glass panel, over a durable stainless steel burner. This system provides incredibly even heat distribution and virtually no flare ups. The temperature range of the TEC Patio FR offers an amazing 200-900 degree range, and can reach even lower temperatures using its smoker/roaster accessory. The TEC G-Sport FR also offers an incredible cooking surface temperature range of 250-850 degrees. 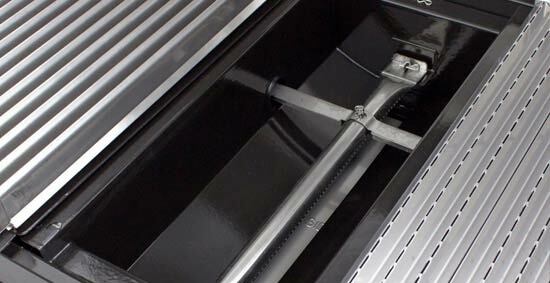 While these grills don't quite reach the highest temperatures of a ceramic infrared burners, they do produce plenty enough high heat to reach steakhouse quality searing, while also offering the capability to cook at low temperatures. This infrared system is found on brands like Saber, and features a stainless steel tube burner, with a metal heat emitter panel sitting over the burner and the cooking grid sitting directly atop the emitter panel. This system provides good even heat distribution and virtually no flare ups with a temperature range of 300-650 degrees. However, the pipe burners on these systems produce less heat than the other infrared systems, which will not reach the maximum searing temperatures of higher-end infrared grills. In the past few years many advances have been made in the infrared gas grill industry. One of the most interesting has been the creation of hybrid infrared gas grills. hese gas grills offer a combination of traditional convection burners and an infrared burner zone, which allows you to grill all of your favorite foods that require lower temperatures over the convection burners while searing steaks over intense infrared heat from your sear zone. This also allows for the quick transition of your food after searing to a lower temperature to continue grilling. Shop the three most common types of hybrid gas grill configurations below. These grills offer traditional convection main burners inside the grill, along with one infrared burner. This infrared burner comes permanently mounted inside the grill and cannot be switched out in the future for a convection burner. Grills with available infrared burners come with all traditional convection burners, but offer an infrared burner that is sold separately that can be switched out at any time. This is a great option to give your grill more cooking versatility. Some grills include an infrared sear station mounted on the side shelf, giving you the searing capability of an infrared burner without taking up any grilling space inside your grill. For those looking for this functionality in their outdoor kitchen, be sure to check out out our built-in infrared searing stations.